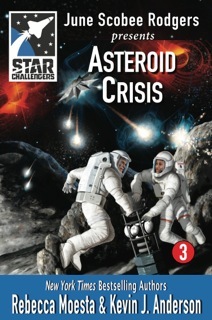 Using skills learned from the mysterious Commander Zota, JJ and her fellow Star Challengers embark on a mission to deflect the deadly asteroids before it’s too late. But the alien invaders aren’t the only enemy: the Star Challengers have to worry about human traitors, too. . . .